With free Wi-Fi in public areas, The White Hart Hotel dates back to 1838, and is situated in the centre of Hayle in Cornwall. 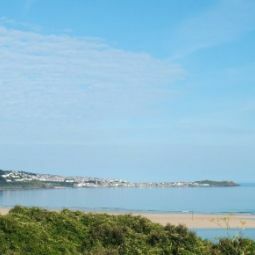 Guests can explore the pretty harbour, or travel to St Ives, just 6 miles away. Rooms are elegant in style, and feature an en suite bathroom, mini fridge, TV and tea and coffee making facilities. All rooms feature original works of art. The restaurant is also decorated with original artworks and quirky antiques. A wide range of delicious homemade meals is served, made from local ingredients. There is an à la carte menu along with lighter meals, bar snacks and desserts. Penzance is a 15-minute drive from The White Hart. Truro and Falmouth can be reached in 30-40 minutes’ drive. Pay and display car parking is available nearby.